"I want to get back to when I was that kid in the basement," raps Drake on "From Time," one of Nothing Was the Same's best tracks. 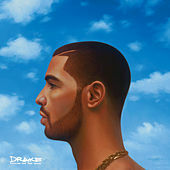 The album title refers to a line from the first half of "Furthest Thing" -- just before the track appealingly shifts from a murky ambient cloud to gospel-inflected chipmunk soul -- and a life somewhere between "psychotic and iconic." Aspirations to Wu-Tang mythology abound when Drake tries to "Connect" with old hookups as he earns "Pound Cake" and ascends to the rap pantheon. Undercooked tunes like "The Language" and "Worst Behavior" stand in his way. 2013 Cash Money Records Inc.